If you feel like some country air, travel in your Cyprus rental car to Argaka. This is a village which enjoys the breeze of the sea and which is “embraced” by a pine forest. In Argaka there is a large forest expanse which covers the uncultivated pieces of land, as well as several cultivation, in the Paphos district at the valley of Chrysochous at the central eastern part of the Chrysohous Bay. It is about 8 km from the town of Polis Chrysochous and it is located at an altitude of 90 meters above the sea level. Many rivers flow from the slope towards the sea, one which is very big, passes next to the village. The river of Makounda is located to the southeast of the village. Due to the fact that the average rainfall is between 450 and 520 cm, there is a variety of local products grown. The hot climate in Argaka helps the cultivation of some semitropical plants such as the prickly pear and the mespilo. Argaka is divided into two parts: Kato Argaka (which is next to the sea) and Pano Barakka (which is upon the slope, looking over the sea). Pano Argaka represents the older community while Kato Argaka is the new community because of the split, due to the river, it is built on a slope and the main road passes through it. The population of the village , showed an increase from the previous century until today. From 90 residents in 1881 to the last census that occurred in 2001, the community’s inhabitants numbered 793. Behind this increases of population are the fertile land of the village, the easy-to-use transportation network between Polis and Nicosia, the neighboring mine of “Limni” (Lake), the irrigated tracts of land, and the modern agricultural growth of profitable produce. Including the village in the irrigation plan of Chrysochous has benefited the community to the maximum. It is worth noting that the country church of Saint Varvara with the holy water spring next to it is located about one kilometer north of the settlement, at a venue known as “Vrysin tou Kalogirou” (the Monk’s Fountain). Prior Sofronios was known as the “Kalogiros”. It is not yet certain whether the Monastery of Saint Varvara was the core of Argaka’s settlement or if the inhabitants of some other settlement -probably in the neighboring forest -transferred to the settlement of Argaka during some phase of the 19th or previous centuries. 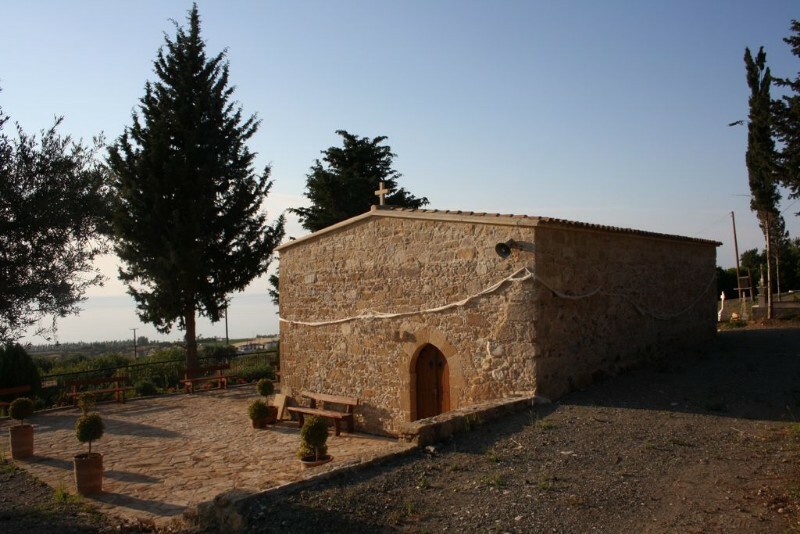 Ayios Georgios chapel is built in the woods southeast of the community, about three-four kilometres away from the village. It is believed that the chapel is in the area where the village of Eso Makounta used to be. The passing of time resulted in the chapel’s destruction. In 1989, the inhabitants’ contribution made possible the building of a new chapel in the exact location of the old one. The chapel is built out of bricks and it is painted white. Its chaste style, square shape and arched roof are its dominant features. It is very small and can receive only twenty people. The feast day of Saint George is celebrated by the community of Argaka on the 23rd of April. 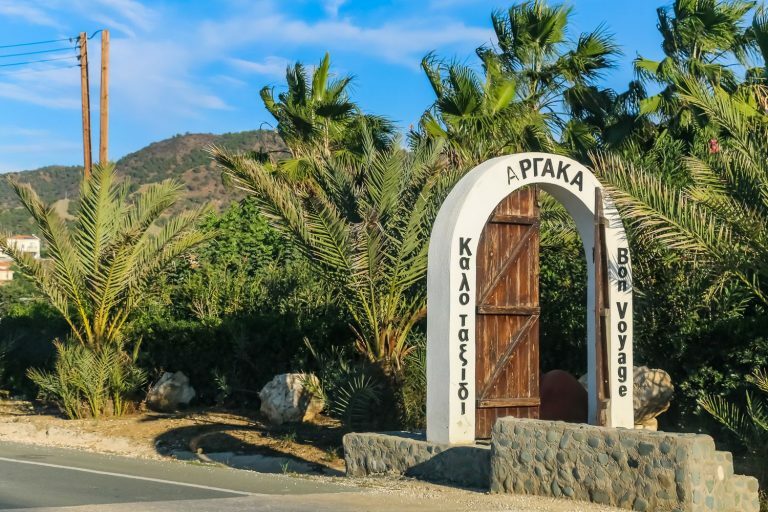 According to tradition, Ayios Asomatos’s chapel was built in the woods at the east side of the village, about three kilometres away from the village. The passing of the years resulted in the chapel’s collapse. Today there is nothing left but ruins from the chapel’s foundations and the sense of history dominating the place where the chapel used to stand. The Nature Study Trail of Argaka offers visitors the opportunity to admire the Community’s unique natural beauty. 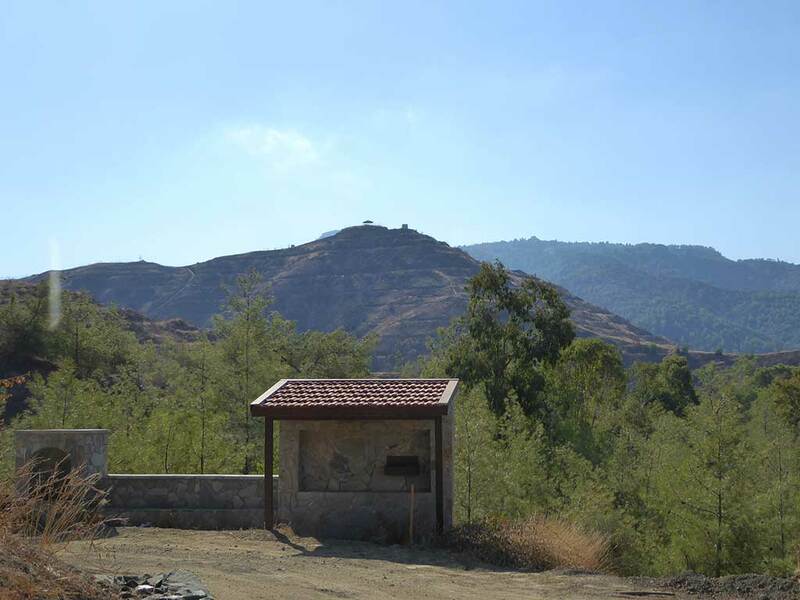 The Trail’s starting point is located approximately 500 metres east of the Community, on the Pafos Forest borders. It is a circular trail which offers two different routes, a short one which is eight kilometres long and a long one which is 10 kilometres long. If strollers choose the short route they will need approximately two hours to walk the distance, while the longer route will last an additional hour. 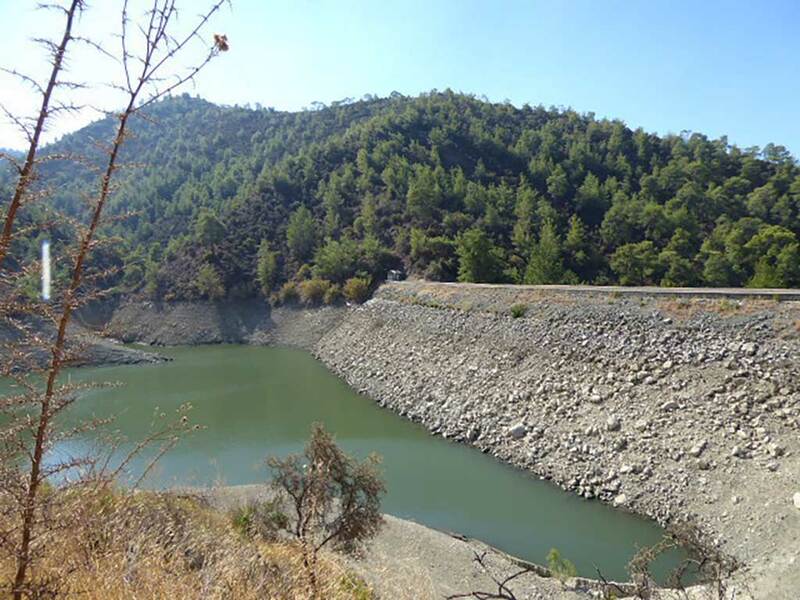 Walking along the trail, one can see the water dam of Argaka, admire the splendid view towards the Community, the Chrysochous Bay and the Akamas Peninsula, while at the same time enjoying the unique colour and scent of the pine forest. In the middle of the route it is worth making a stop to view the village and the entire Chrysochous Bay from the “Moutti tou Koraka” Observation Point. Finally, a drinking water fountain can be found along the trail. Overwhelmed with excellent natural beauty and just a few kilometers from the more lively Polis & Latchi, it presents a perfect spot for your holiday in Cyprus. 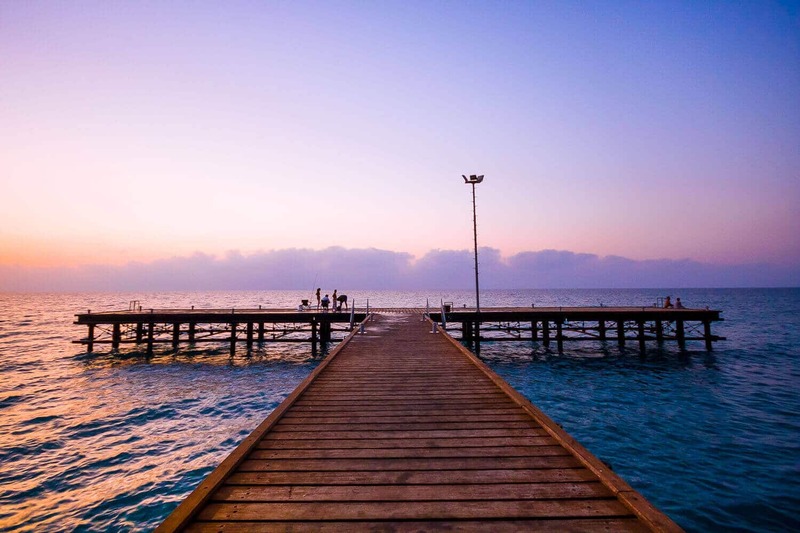 Attractive sandy beaches and delicious restaurants with a wide variety of food and freshly caught fish make Argaka beach a must-visit place for everyone.